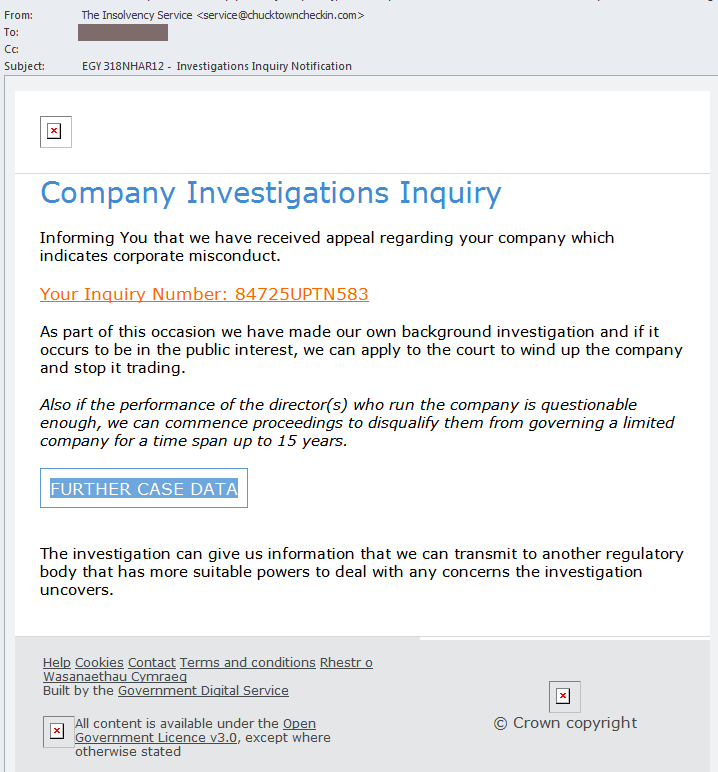 This fake FTC email leads to malware. Curiously, it was sent to a company that received a multimillion dollar FTC fine, but this is almost definitely a coincidence. It seems we can claim a refund from the FTC. Check this out and give me a call. Obviously this downloaded document is up to no good, but the VirusTotal detection rates are only 5/56. The Word document itself tries to persuade victims to enable macros, which would be a bad idea. It also appears to start sending traffic via Tor, which is a good reason to monitor Tor on your network. 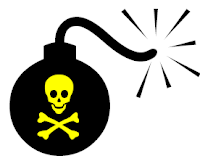 All sorts of files are dropped, most of which don't seem to be particularly malicious. "Gate.php" indicates a Pony downloader, but this does look like a tricky bugger. This malware spam in unusual in many respects. The payload may be some sort of ransomware [UPDATE: this appears to be Cerber]. 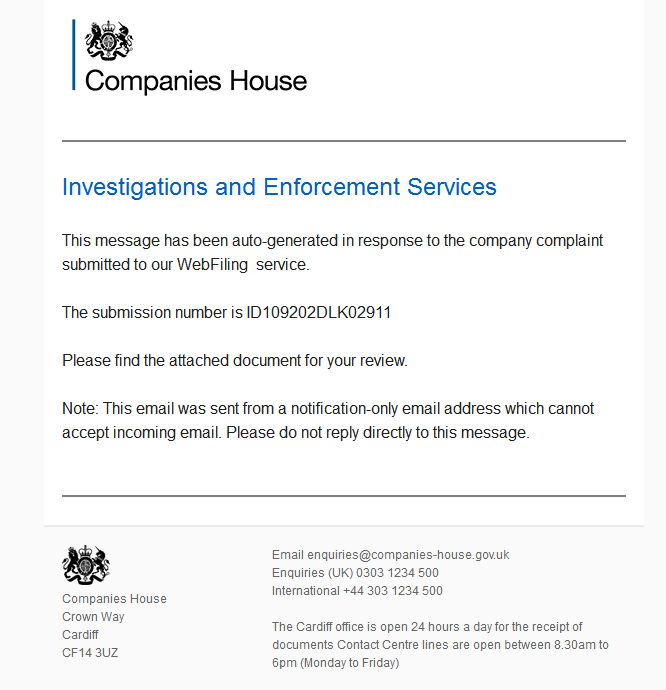 Informing You that we have received appeal regarding your company which indicates corporate misconduct. 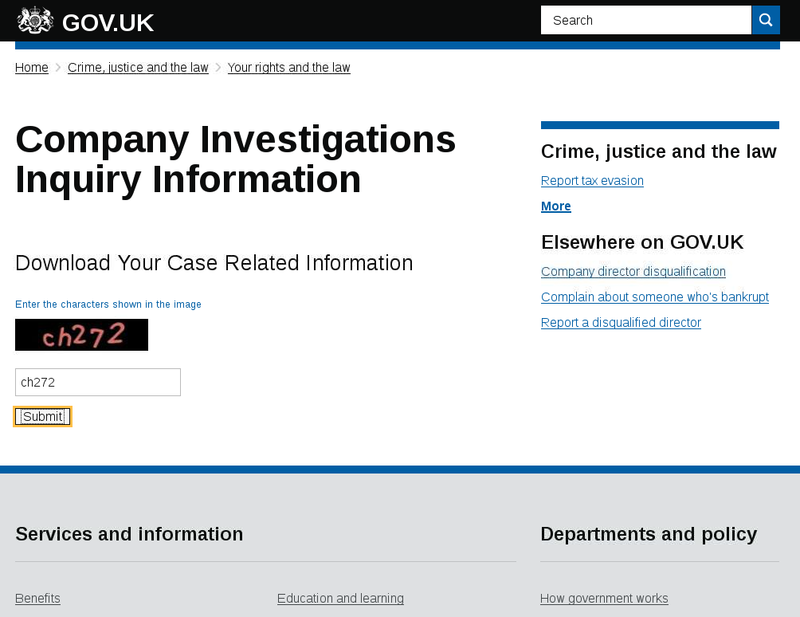 As part of this occasion we have made our own background investigation and if it occurs to be in the public interest, we can apply to the court to wind up the company and stop it trading. Also if the performance of the director(s) who run the company is questionable enough, we can commence proceedings to disqualify them from governing a limited company for a time span up to 15 years. 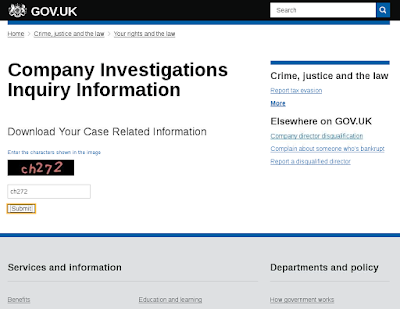 The investigation can give us information that we can transmit to another regulatory body that has more suitable powers to deal with any concerns the investigation uncovers. All the servers have names like kvm42.chapelnash.com in a network block controlled by Reg.ru in Russia. Hybrid Analysis of the script is rather interesting, not least because it performs NSLOOKUPs against OpenDNS servers (which is a really weird thing to do give that OpenDNS is a security tool). The script downloads a component from www.studiolegaleabbruzzese.com/wp-content/plugins/urxwhbnw3ez/flight_4832.pdf and then drops an EXE with an MD5 of e403129a69b5dcfff95362738ce8f241 and a detection rate of 5/53. 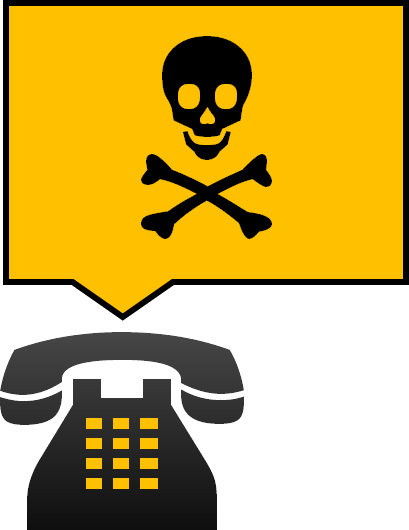 It isn't exactly clear what the malware does, but you can bet it is Nothing Good™. Subject: Payslip for the month Dec 2016. We are sending your payslip for the month Dec 2016 as an attachment with this mail. Note: This is an auto-generated mail. Please do not reply. The name of the sender will vary. Attached is a malicious Word document with a name like Payslip_Dec_2016_6946345.doc which has a VirusTotal detection rate of 12/55. 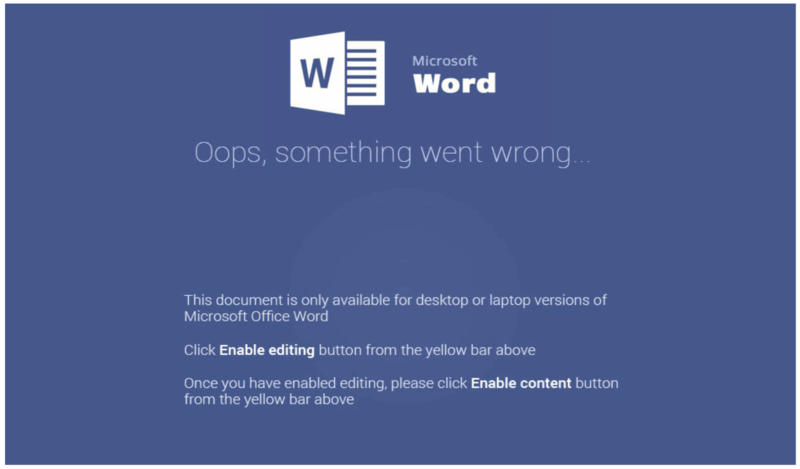 This Hybrid Analysis clearly shows Locky ransomware in action when the document is opened. A DLL is dropped with a detection rate of 12/52. Please find attached a copy of your invoice. For all your stationery needs please visit Stationerybase. The name of the sender varies, as does the fake invoice number. 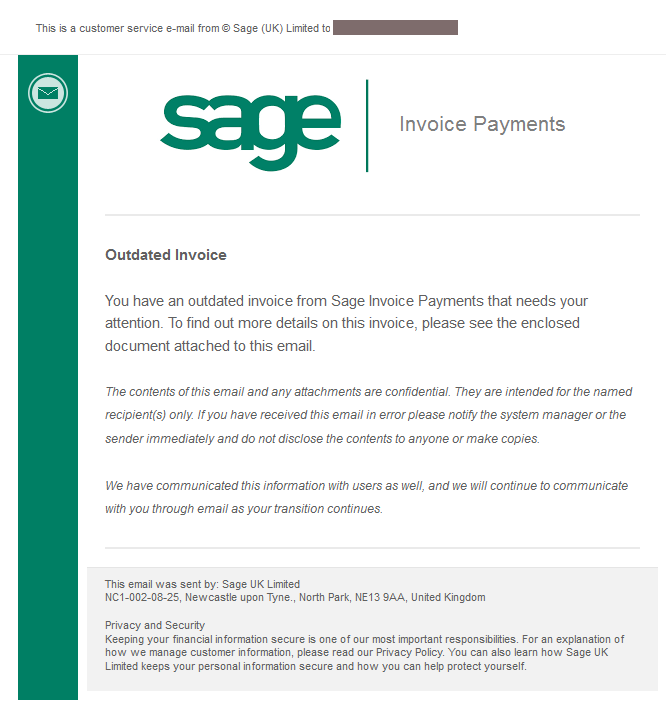 Attached is a .DOCM file with a filename matching that invoice number. Typical detection rates for the DOCM file are 13/56. Automated analysis of a couple of these files     show the macro downloading a component from miel-maroc.com/874ghv3 (there are probably many more locations). A DLL is dropped with a current detection rate of 11/57. Hey [redacted], it is Herman. You've asked me to order new firewall software for our office computers. Done and ready. Here, in the attachment, is the full invoice of the software counteragent. Attached is a ZIP file with a name like f_license_5330349.zip which contains a randomly named .js script which is very highly obfuscated. Although some of these are from different sub-groups of Locky pushers, let's stick them all together for the sake of convenience. Note that there are a at least a couple of bad /24 blocks in there. 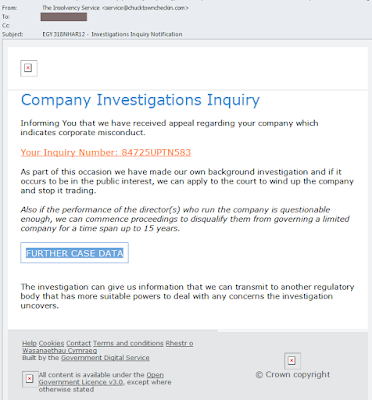 This fake financial spam appears to come from a random sender in the victim's own domain, but this is just a simple forgery. The payload is Locky ransomware. 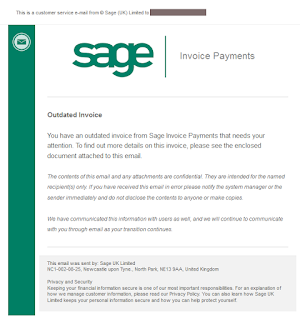 Attached is the document 'Invoice 5639438'. The reference number varies from email to email, but is consistent in the subject, body and the name of the attachment (e.g. Invoice 5639438.zip). This ZIP file contains a malicious WSF script (e.g. Invoice 7868933153.wsf) that looks like this. Dear Client! Our delivery department could not accept your operation due to a problem with your current account. In order to avoid falling into arrears and getting charged, please fill out the document in the attachment as soon as possible and send it to us. Dear [redacted], Leroy from the bank notified us about the suspicious movements on out account. Examine the attached scanned record. If you need more information, feel free to contact me. There will probably be other download locations. This Hybrid Analysis and this Malwr report show the Locky ransomware in action. This version of Locky does not appear to use C2 servers, but instead drops a malicious DLL with an MD5 of 75e6faf192d00b296d89df2cd56c454a and a detection rate of 9/56. These financial documents need to be uploaded on the system. Please let me know if you experience any technical problems. 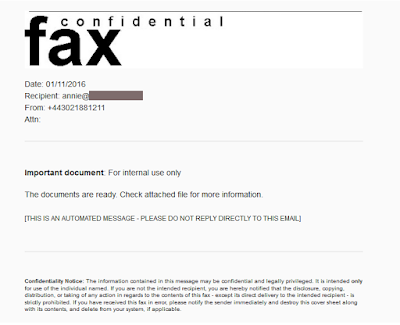 This spam comes from random senders, the name in the "From" field always matches the fake email signature. The number of exclamation marks varies, and the payload is Locky ransomware. Analysis is pending. Please check back later. This is to inform that the transaction you made yesterday is declined. Please look through the attachment for the verification of the card details. Hybrid Analysis is inconclusive. If I get hold of the C2s or other download locations then I will post them here.